As divisive as 5 Seconds Of Summer are (and that’s understating it by dramatic proportions), it’s only really because they got their big break touring with One Direction. If they had gotten to where they are now through grassroots promotion and natural growth, no one would’ve batted an eyelid. It seems strange then, that the acts that the Aussies have taken under their wing spark nowhere near as vicious a debate. Still, that can be explained by the fact that these bands still fall somewhere within the alternative sphere, even Hey Violet. Under their original incarnation of Cherri Bomb (who were very much ingrained in straight-up hard rock), they were a band tipped for gigantic things, even sharing stages with the Foo Fighters at one point, before a lineup reshuffle and moniker change to reflect the shift to a more bubblegum pop-rock-oriented sound. But despite their debut EP I Can Feel It only being released just over a year ago, its follow-up Brand New Moves sees the band pivoting towards a more mature, synthpop-inspired direction, moving away from the power chords and pop-rock callbacks of their mentors in favour of something a lot tighter and more understated. The best example comes in the title track, driven by watery keys and a slithering bassline lifted straight from David Bowie’s Let’s Dance, while Rena Lovelis’ promotion to full-on lead vocalist has her take on the role of breathy seductress. It’s a great little track, a lot more refined than their previous efforts but still with a fantastically poppy zeal that’s almost worth the price of the EP alone. If it wasn’t for the fact that everything else here seems designed as padding. To be fair, the swirling haziness of Pure is decent, if a bit blurry, but Fuqboi is as embarrassingly juvenile as its title would suggest with production that’s far too heavy-handed and some kind of presidential speech shoehorned in the middle for some reason. For an EP with so few tracks, it really does fluctuate in quality, not helped by the two reduxes of the title track slapped on at the end – a limp, acoustic version and a painfully dull tropical house remix – neither of which leave any sort of impression whatsoever. But to be honest, while Brand New Moves isn’t a great EP, or even all that good, it at least shows that Hey Violet have the slightest semblance of a game plan. On a purely sonic level, it has moments that are the best that the band have ever sounded, and it’s too benign to really hate, but they just don’t have the songs yet to take them to the status of their arena-conquering mentors. The title track is still excellent though – more like that, please. 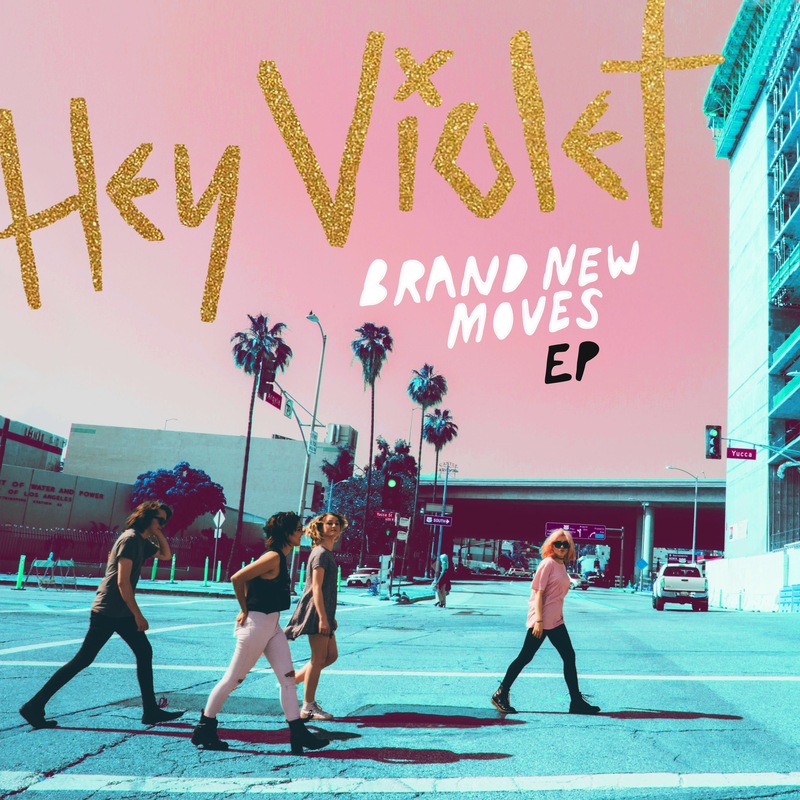 ‘Brand New Moves’ by Hey Violet is out now on 5Mode Limited / Capitol Records.